Remember last week when the University of Connecticut women’s basketball team set an NCAA record with an 89th consecutive win? Well, they squeezed one more win out of that impressive run before finally losing to ninth-ranked Stanford on Thursday night, ending the streak at 90 straight victories. Believe it or not, a loss to Stanford back on April 6th of 2008 was the last time the UConn Huskies tasted bitter defeat. It looks like they have their number! Oddly enough, the UCLA men’s basketball team that held the previous record of 88 straight wins ended up losing to the same team, Notre Dame, on either side of their streak as well. Two-time national player of the year Maya Moore didn’t score until the 17 minute mark of the game, finishing with about 10 points fewer than she normally averages, the Huskies shot 32.8% from the field and the team lost the rebound battle by a margin of 43-36…That’ll do it! 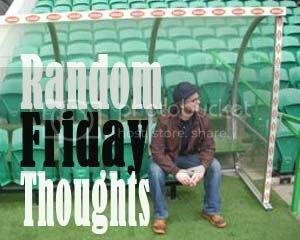 You know, it was a tough week for streaks now that I think about it! Sidney Crosby’s run of 25 straight games with at least a point ended on Wednesday night against the NY Islanders as well. He hit the crossbar at one point but Rick DiPietro stood on his head the rest of the way, making 37 stops as the Isles beat the Pens 2-1 in a shootout. DiPietro even stopped him in the extra, extra frame! From November 5th to December 28th, Sid the Young Adult (he’s no kid!) had 26 goals and 50 points for 32 goals and 65 points on the season, and he grew quite a threatening moustache to boot. There have been some tense moments in Pittsburgh this week as the city gets set to host the 2011 Winter Classic on Saturday between the Pittsburgh Penguins and the Washington Capitals. The forecast isn’t looking good ahead of the outdoor game at Heinz Field, the home of the NFL’s Steelers! Whatever happens, the NHL says it’s under control! The forecast for the big game has a good chance of rain, which means the temperature will be above zero, which means the ice could be affected. The league says if weather becomes an issue they might play the game at night, or on Sunday. Oh, and if you’re worried about the conditions, click here to stay on top of things! It seems like just yesterday that the Miami Heat, with their spoil of riches, started the 2010/11 NBA season a modest 9-8, doesn’t it? If you’re a Heat Hater, you’re trying very hard to remember those days because since then, Chris, Dwyane and LeBron have won sixteen of seventeen! They went from one game over .500 to a 25-9 mark in just one intensely successful month, a run that was punctuated with a 96-80 Christmas Day win over the LA Lakers. What’s scary is that they could easily pass the thirty-win plateau before the next time they face any real challenges - their next six games feature just one current playoff team (the 17-16 Trailblazers) and a bunch of duds. Then they’ve got Denver and Chicago back-to-back, which should be a good test of how good they actually are. Are you happy that the Miami Heat are finally starting to look like the powerhouse they were supposed to be? Isn’t it great when fans get to vote on All-Star ballots? I’m guessing that Yao Ming of the Houston Rockets sure thinks so! Despite not playing since early November and being out for the rest of the season, the Chinese superstar leads all Western Conference centres with 637,527 votes ahead of February’s All-Star game in Los Angeles. What’s even funnier is that the Lakers’ Andrew Bynum, who has only been back in the lineup since mid-December after missing significant time with a knee injury, is in second place. Do the people that send in votes even watch basketball? DON'T FORGET TO CHECK OUT THE NEWEST FEATURE OF MY BLOG: The Kerrzy & Migs Friday WorkOut - a weekly workout from Miguel Cunha of ForcaFreeMotionBody.com! The NFL’s Seattle Seahawks could make the playoffs with a losing record if they beat the Rams on Sunday…but apparently some Seattle “fans” are hoping for a loss! 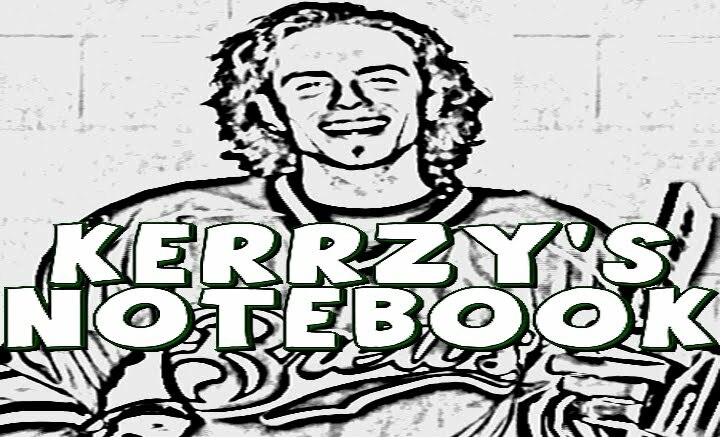 Kerrzy’s Notebook: Hall of Fame Career? Kerrzy’s Notebook: Dustup at Quicken Loans Arena?